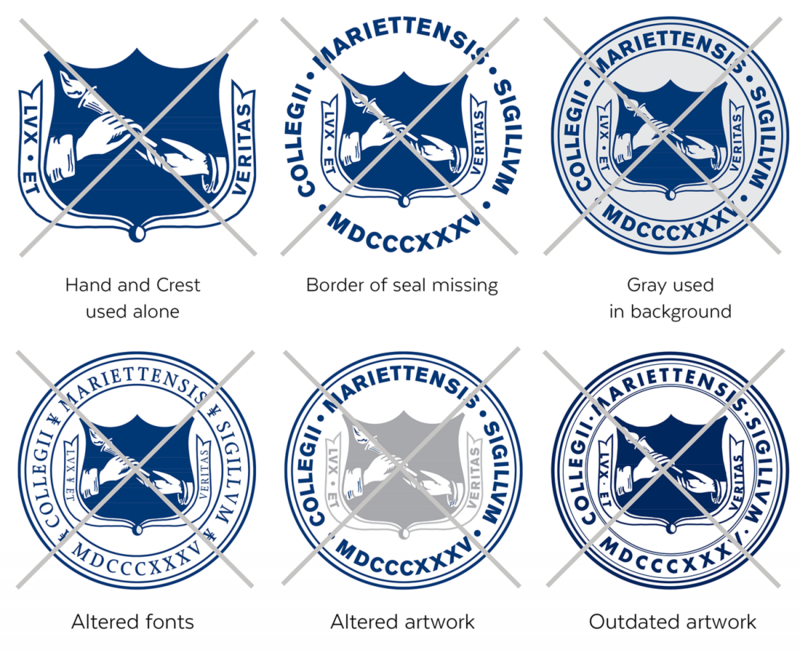 Marietta College’s visual identity is based on a system of official graphic marks, coordinated to help the public easily identify the College and to promote Marietta’s distinctive assets and visibility among its many important audiences. 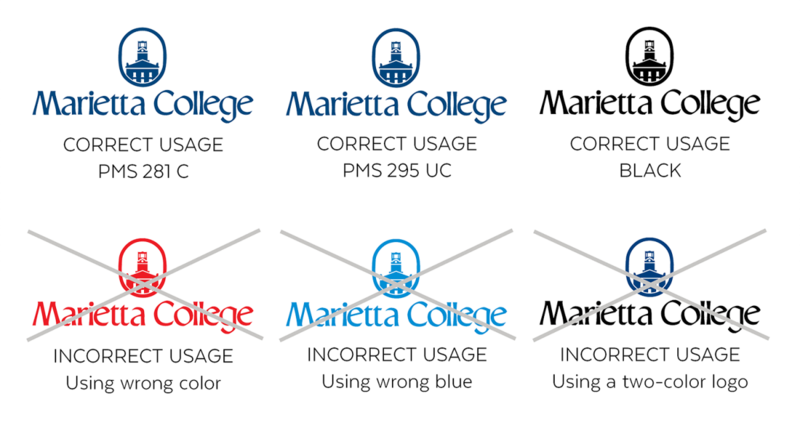 The images depicted below are the official visual identity marks of Marietta College. To promote strength and consistency—and to protect important trademark registrations—use of these marks should adhere to the graphic standards outlined in this manual. 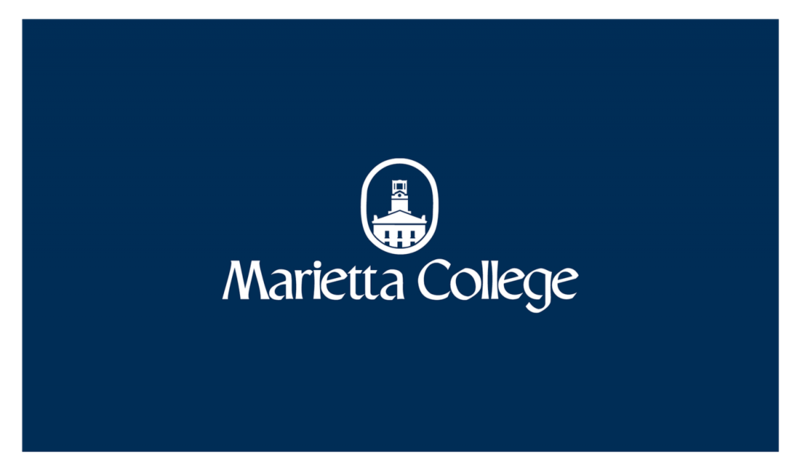 In the summer of 2006, the Marietta College President and Cabinet officially approved this logo to serve as Marietta College’s primary visual identity mark of the institution for use on its stationery package, merchandise and all printed and electronic publications. The “Erwin Tower” oval icon represents Marietta College’s history of commitment to academics and to its liberal arts foundation. 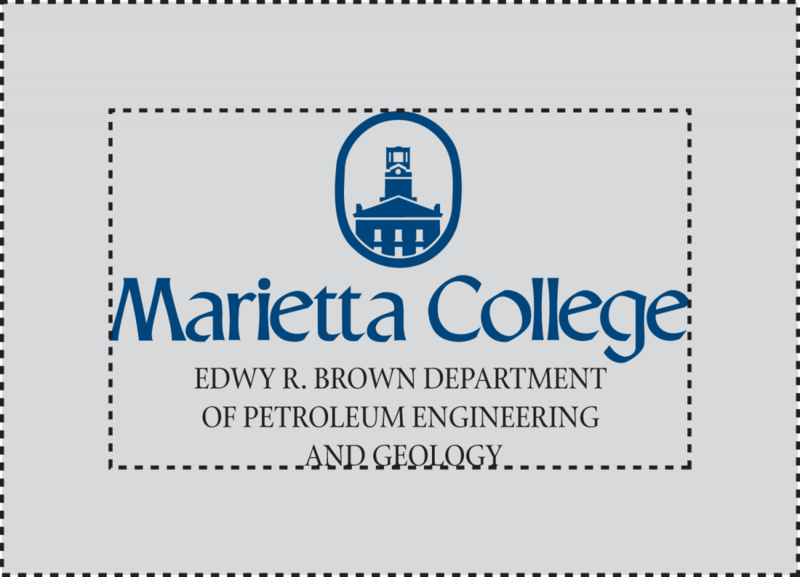 This logo has been used since the mid-1980s but had not until 2006 been “officially” designated as the logo of Marietta College. The Marietta College logo is the primary visual identity mark of the institution and is to be used on stationery, merchandise and all printed and electronic publications intended for off-campus use. The logo must always be printed in a one-color format. Acceptable colors are Marietta Blue (PMS 281 Coated, PMS 295 Uncoated), black, gray, metallic silver and white in a reverse-out application. The logo must be produced at 100% of the color—screening the logo is not an acceptable usage. to create all forms of communication. Any attempt to recreate the art, type or spacing and styling of the logo by desktop publishing or word processing will result in inconsistencies that will compromise the integrity of the logo. 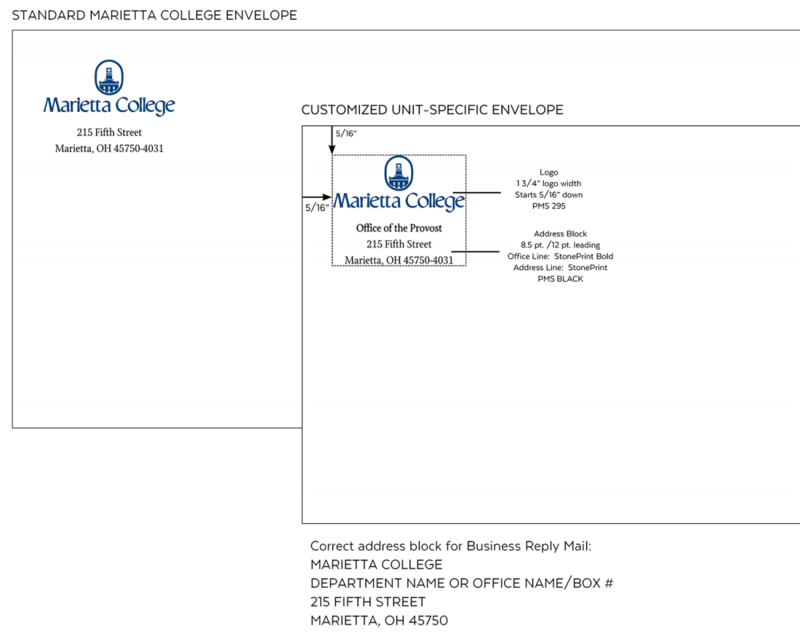 The recommended minimum reproduction size of the Marietta College logo is 3/4” in width. Reducing the logo further compromises the integrity of the icon and the readability of the wordmark. 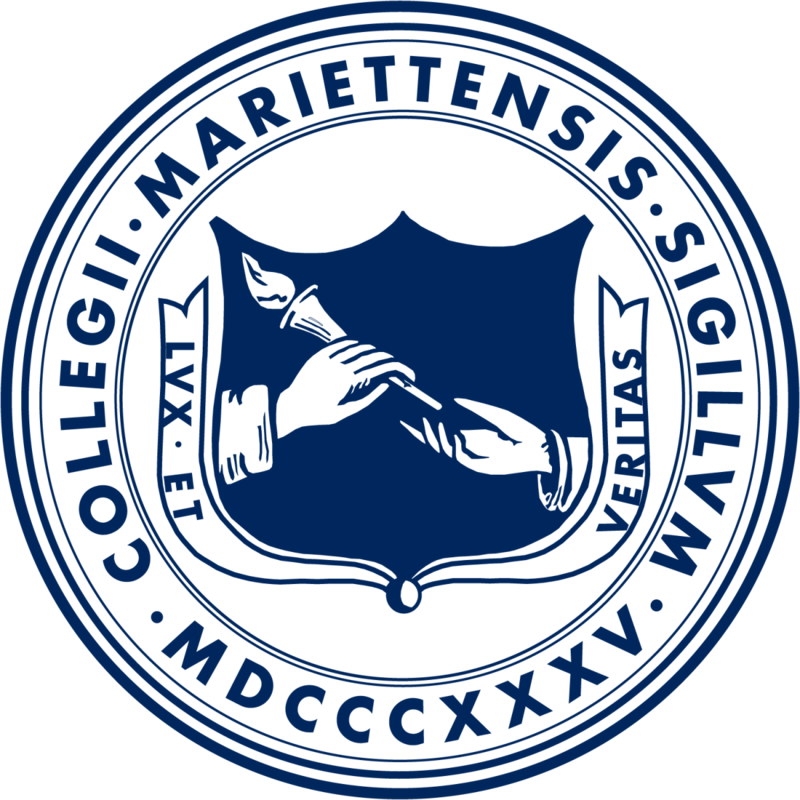 The Marietta College Tower icon and wordmark may be separated (or peeled apart) and used alone to represent Marietta College. The first option in any printing of the College logo would be to use the entire logo, but there are cases where the Tower icon or the wordmark may be used. The Marietta College seal is the official ceremonial mark of the institution. As such, it is reserved for more limited use than the logo. Historically, institutional seals were used to authenticate official messages. Their design is purposefully intricate and descriptive. The College seal is reserved as the official ceremonial mark of the institution for usages such as official documents, diplomas, citations and special signature items. It SHOULD NOT be used routinely in print or electronic communications or merchandise. Use of the seal must be approved by the Director of Creative Services. To ensure consistency, the hands in the shield should not be used as a separate image, the artwork and text inside the seal should not be altered in any way, and all previous versions of the College seal should be retired from use. The Faux Marietta College seal is to be used only on products for merchandising that require a simplified version of the seal or do not meet the higher end product requirement of the College’s official seal. The Faux College seal should ONLY be used on merchandise and NOT official College communication. 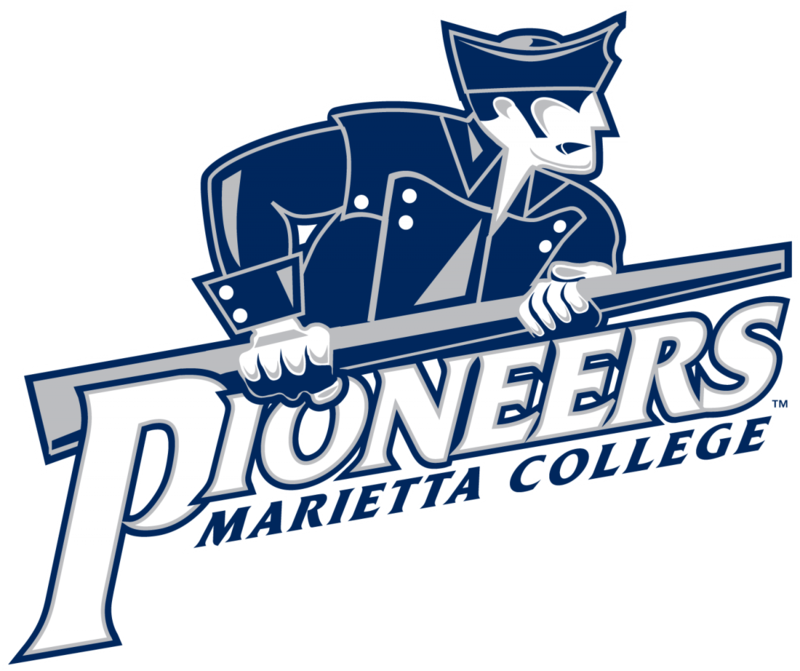 In November 2002, Marietta College introduced a new system of athletic visual identity marks (shown above). All athletic logos are reserved for the use of the Marietta College Department of Athletics, which has its own graphics standards to direct these logos’ specific use. You can find the standards for these marks located below, or on page 66 of the printed version. Readability and clarity are critical elements of Marietta’s visual identity marks. Dark inks on light papers offer the best effect. Designers should take care that any use of a reverse-out effect offers a high contrast for maximum legibility. To reverse out of a photo or illustration, the area chosen for the reverse should be as dark and solid as possible, avoiding patterns that could make reading difficult (see example below). If PMS 281 or black are not used in your publication, reverse the visual identity mark in white from the darkest color. Please Note: When printing a logo in a standard reverse, you must use the reverse logo. Adding an outline to the image will result in an incorrect usage. All marks should not be used on patterned backgrounds if at all possible. If a question arises about the usability on a patterned background, please feel free to consult the Director of Creative Services about the logo usage. Designs that incorporate hot stamping or embossing of any of Marietta College’s visual identity marks should be produced in conjunction with the Office of Communication & Brand Management. Hot stamping and embossing options are generally limited to navy blue, black, silver or a blind emboss. Former logos or wordmarks previously used by these entities should be retired from use. A limited number of individual campus entities are able to use their own logos or wordmarks, due to unique cultural or historical significance, funding provisions or an established strong identity with certain key audiences. 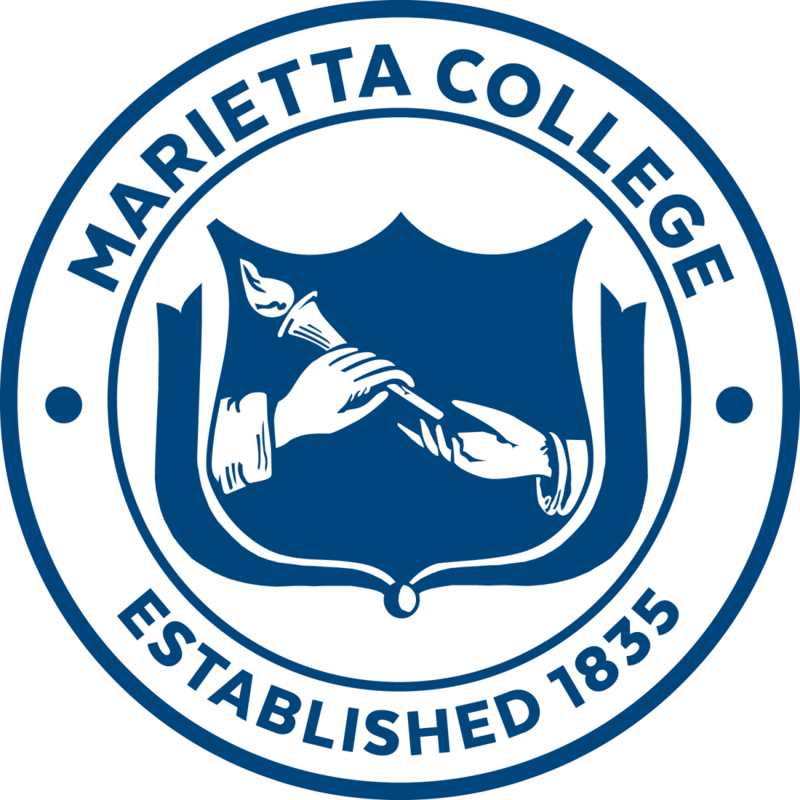 However, to demonstrate a close connection to Marietta College, the College logo must also appear on the entity’s letterhead, merchandise and printed and electronic communications. Due to their nature and frequent changes in leadership, student clubs and organizations recognized by Marietta College and funded primarily by students may use their own logos and wordmarks when communicating with an on-campus audience. When communicating off campus, they must use the official Marietta College logo or the phrase “A Student Organization of Marietta College” in conjunction with their own logo or wordmark. 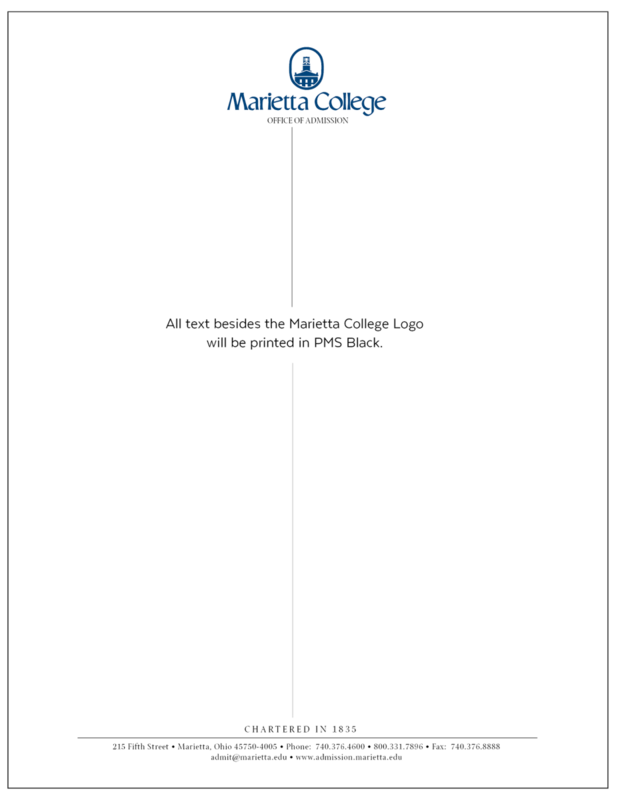 Marietta College’s official letterhead may be ordered by contacting the Office of Communication & Brand Management. 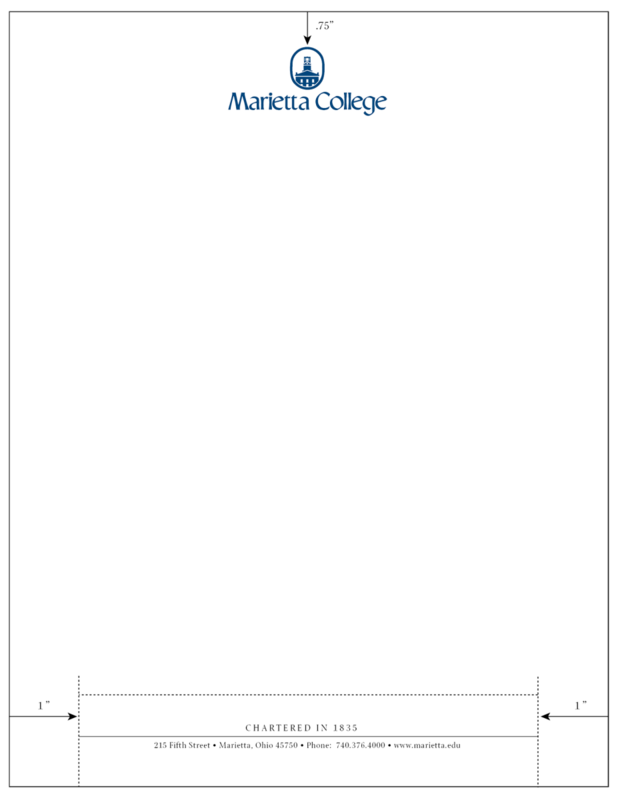 Campus entities may order standard institutional letterhead, or letterhead customized for their individual school, office, department or program, as shown below. To maintain consistency and professionalism in all College correspondence, individual campus entities or persons may not design their own letterhead. 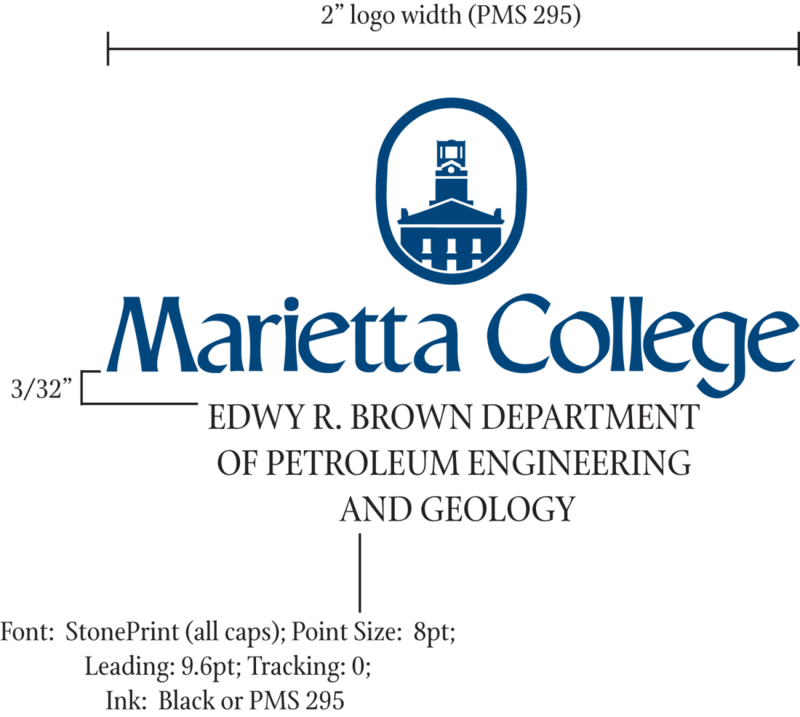 The standard address block used for all Marietta College envelopes and labels is illustrated below. The Office of Communication & Brand Management coordinates an annual envelope order for all campus entities ea spring, but will produce envelopes throughout the year as requested. 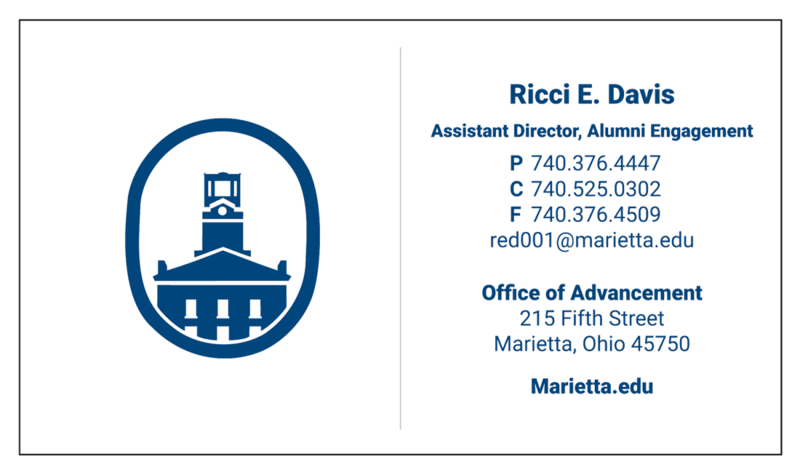 To maintain a consistent and professional image for Marietta College, the business card formats illustrated below will be used for all campus personnel. 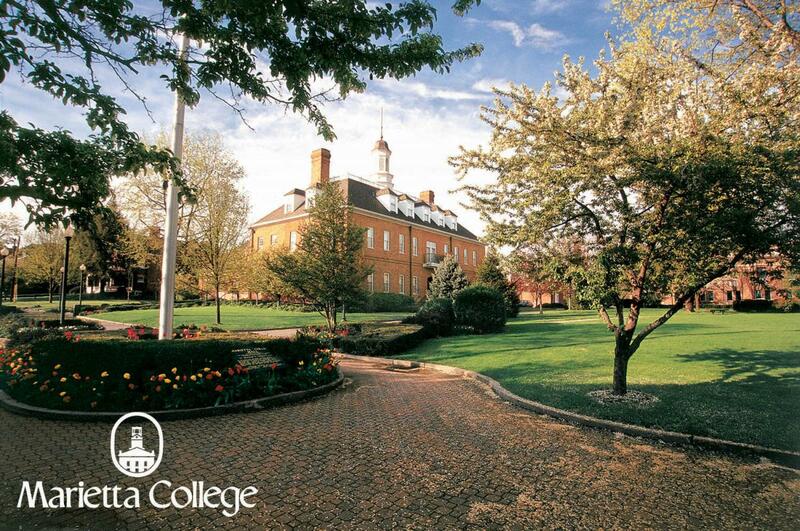 Individual campus units or persons may not design their own Marietta College business cards. The only exception is the Marietta College athletic department, which follows its own visual identity guidelines. 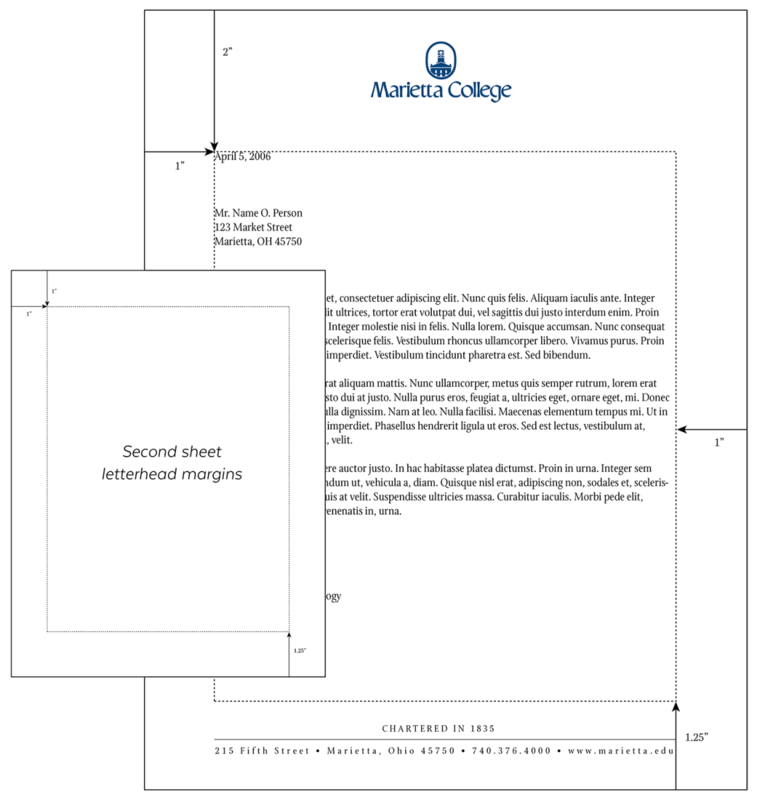 To provide a more standardized, professional look for Marietta College correspondence, the College suggests that the letter begin at least 2” from the top of the page, with a 1” margin at both the right and left. A 1.25” margin should be set at the bottom of the page. 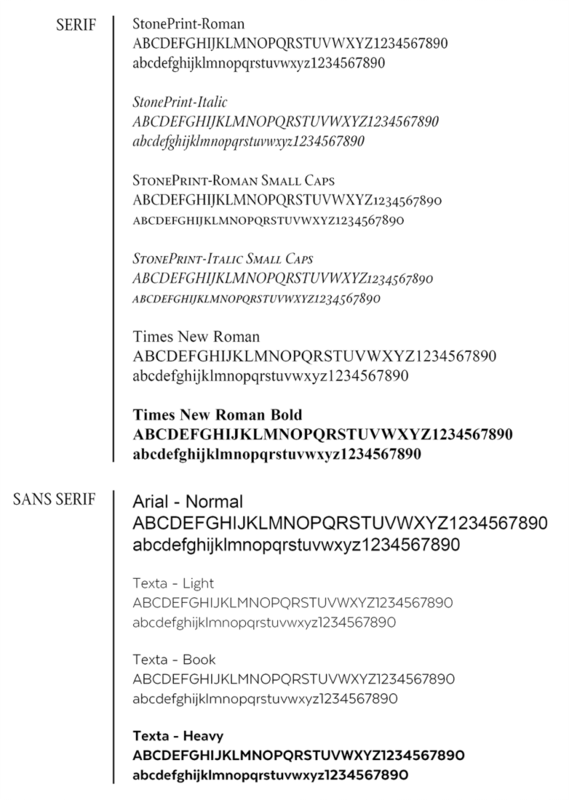 It is suggested that correspondence should be printed in 11 point Arial (sans serif) or Times New Roman (serif) font and follow the format shown below. The recommended type styles for Marietta College’s stationery and campuswide marketing materials are listed below. These type styles possess a dignified, easy- to-read quality, and their use is encouraged for body copy in brochures, newsletters, advertisements and other communications. 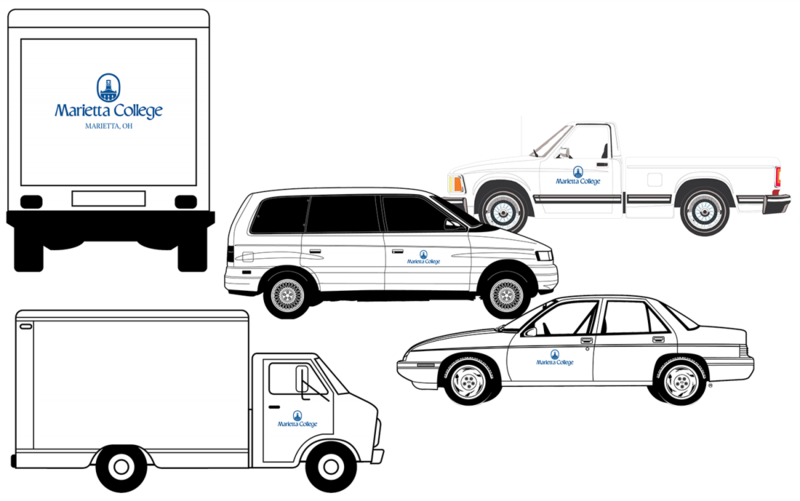 All visual identity guidelines outlined in this manual apply to the use of the Marietta College logo on campus vehicles. The College’s location, “Marietta, OH” should also be included. The vehicle samples shown below are for illustrative purposes only. They are not intended to limit exact sizing or placement of logo, or to be all-inclusive of options.